The neuroscience of sleep is the study of the neuroscientific and physiological basis of the nature of sleep and its functions. Traditionally, sleep has been studied as part of psychology and medicine. The study of sleep from a neuroscience perspective grew to prominence with advances in technology and proliferation of neuroscience research from the second half of the twentieth century. The importance of sleep is demonstrated by the fact that organisms daily spend hours of their time in sleep, and that sleep deprivation can have disastrous effects ultimately leading to death. For a phenomenon so important, the purposes and mechanisms of sleep are only partially understood, so much so that as recently as the late 1990s it was quipped: "The only known function of sleep is to cure sleepiness". However, the development of improved imaging techniques like EEG, PET and fMRI, along with high computational power have led to an increasingly greater understanding of the mechanisms underlying sleep. What are the correlates of sleep i.e. what are the minimal set of events that could confirm that the organism is sleeping? How is sleep triggered and regulated by the brain and the nervous system? How can we understand sleep function based on physiological changes in the brain? What causes various sleep disorders and how can they be treated? Other areas of modern neuroscience sleep research include the evolution of sleep, sleep during development and aging, animal sleep, mechanism of effects of drugs on sleep, dreams and nightmares, and stages of arousal between sleep and wakefulness. Rapid eye movement sleep (REM), non-rapid eye movement sleep (NREM or non-REM), and waking represent the three major modes of consciousness, neural activity, and physiological regulation. NREM sleep itself is divided into multiple stages – N1, N2 and N3. Sleep proceeds in 90-minute cycles of REM and NREM, the order normally being N1 → N2 → N3 → N2 → REM. As humans fall asleep, body activity slows down. Body temperature, heart rate, breathing rate, and energy use all decrease. Brain waves get slower and bigger. The excitatory neurotransmitter acetylcholine becomes less available in the brain. Humans often maneuver to create a thermally friendly environment—for example, by curling up into a ball if cold. Reflexes remain fairly active. REM sleep is considered closer to wakefulness and is characterized by rapid eye movement and muscle atonia. NREM is considered to be deep sleep (the deepest part of NREM is called slow wave sleep), and is characterized by lack of prominent eye movement or muscle paralysis. Especially during non-REM sleep, the brain uses significantly less energy during sleep than it does in waking. In areas with reduced activity, the brain restores its supply of adenosine triphosphate (ATP), the molecule used for short-term storage and transport of energy. (Since in quiet waking the brain is responsible for 20% of the body's energy use, this reduction has an independently noticeable impact on overall energy consumption.) During slow-wave sleep, humans secrete bursts of growth hormone. All sleep, even during the day, is associated with secretion of prolactin. According to the Hobson & McCarley activation-synthesis hypothesis, proposed in 1975–1977, the alternation between REM and non-REM can be explained in terms of cycling, reciprocally influential neurotransmitter systems. Sleep timing is controlled by the circadian clock, and in humans, to some extent by willed behavior. The term circadian comes from the Latin circa, meaning "around" (or "approximately"), and diem or dies, meaning "day". The circadian clock refers to a biological mechanism that governs multiple biological processes causing them to display an endogenous, entrainable oscillation of about 24 hours. These rhythms have been widely observed in plants, animals, fungi and cyanobacteria. One of the important questions in sleep research is clearly defining the sleep state. This problem arises because sleep was traditionally defined as a state of consciousness and not as a physiological state, thus there was no clear definition of what minimum set of events constitute sleep and distinguish it from other states of partial or no consciousness. The problem of making such a definition is complicated because it needs to include a variety of modes of sleep found across different species. At a symptomatic level, sleep is characterized by lack of reactivity to sensory inputs, low motor output, diminished conscious awareness and rapid reversibility to wakefulness. However, to translate these into a biological definition is difficult because no single pathway in the brain is responsible for the generation and regulation of sleep. One of the earliest proposals was to define sleep as the deactivation of the cerebral cortex and the thalamus because of near lack of response to sensory inputs during sleep. However, this was invalidated because both regions are active in some phases of sleep. In fact, it appears that the thalamus is only deactivated in the sense of transmitting sensory information to the cortex. Some of the other observations about sleep included decrease of sympathetic activity and increase of parasympathetic activity in non-REM sleep, and increase of heart rate and blood pressure accompanied by decrease in homeostatic response and muscle tone during REM sleep. However, these symptoms are not limited to sleep situations and do not map to specific physiological definitions. More recently, the problem of definition has been addressed by observing overall brain activity in the form of characteristic EEG patterns. Each stage of sleep and wakefulness has a characteristic pattern of EEG which can be used to identify the stage of sleep. Waking is usually characterized by beta (12–30 Hz) and gamma (25–100 Hz) depending on whether there was a peaceful or stressful activity. The onset of sleep involves slowing down of this frequency to the drowsiness of alpha (8–12 Hz) and finally to theta (4–10 Hz) of Stage 1 NREM sleep. This frequency further decreases progressively through the higher stages of NREM and REM sleep. On the other hand, the amplitude of sleep waves is lowest during wakefulness (10–30μV) and shows a progressive increase through the various stages of sleep. Stage 2 is characterized by sleep spindles (intermittent clusters of waves at sigma frequency i.e. 12–14 Hz) and K complexes (sharp upward deflection followed by slower downward deflection). Stage 3 sleep has more sleep spindles. Stages 3 and 4 have very high amplitude delta waves (0–4 Hz) and are known as slow wave sleep. REM sleep is characterized by low amplitude, mixed frequency waves. A sawtooth wave pattern is often present. Animal Sleep: Image of sleeping white tiger. The questions of how sleep evolved in the animal kingdom and how it developed in humans are especially important because they might provide a clue to the functions and mechanisms of sleep respectively. The evolution of different types of sleep patterns is influenced by a number of selective pressures, including body size, relative metabolic rate, predation, type and location of food sources, and immune function. Sleep (especially deep SWS and REM) is tricky behavior because it steeply increases predation risk. This means that, for sleep to have evolved, the functions of sleep should have provided a substantial advantage over the risk it entails. In fact, studying sleep in different organisms shows how they have balanced this risk by evolving partial sleep mechanisms or by having protective habitats. Thus, studying the evolution of sleep might give a clue not only to the developmental aspects and mechanisms, but also to an adaptive justification for sleep. One challenge studying sleep evolution is that adequate sleep information is known only for two phyla of animals- chordata and arthropoda. With the available data, comparative studies have been used to determine how sleep might have evolved. One question that scientists try to answer through these studies is whether sleep evolved only once or multiple times. To understand this, they look at sleep patterns in different classes of animals whose evolutionary histories are fairly well-known and study their similarities and differences. Humans possess both slow wave and REM sleep, in both phases both eyes are closed and both hemispheres of the brain involved. Sleep has also been recorded in mammals other than humans. One study showed that echidnas possess only slow wave sleep (non-REM). This seems to indicate that REM sleep appeared in evolution only after therians. But this has later been contested by studies that claim that sleep in echidna combines both modes into a single sleeping state. Other studies have shown a peculiar form of sleep in odontocetes (like dolphins and porpoises). This is called the unihemispherical slow wave sleep (USWS). At any time during this sleep mode, the EEG of one brain hemisphere indicates sleep while that of the other is equivalent to wakefulness. In some cases, the corresponding eye is open. This might allow the animal to reduce predator risk and sleep while swimming in water, though the animal may also be capable of sleeping at rest. The correlates of sleep found for mammals are valid for birds as well i.e. bird sleep is very similar to mammals and involves both SWS and REM sleep with similar features, including closure of both eyes, lowered muscle tone, etc. However, the proportion of REM sleep in birds is much lower. Also, some birds can sleep with one eye open if there is high predation risk in the environment. This gives rise to the possibility of sleep in flight; considering that sleep is very important and some bird species can fly for weeks continuously, this seems to be the obvious result. However, sleep in flight has not been recorded, and is so far unsupported by EEG data. Further research may explain whether birds sleep during flight or if there are other mechanisms which ensure their remaining healthy during long flights in the absence of sleep. Unlike in birds, very few consistent features of sleep have been found among reptile species. The only common observation is that reptiles do not have REM sleep. Sleep in some invertebrates has also been extensively studied, e.g., sleep in fruitflies (Drosophila) and honeybees. Some of the mechanisms of sleep in these animals have been discovered while others remain quite obscure. The features defining sleep have been identified for the most part, and like mammals, this includes reduced reaction to sensory input, lack of motor response in the form of antennal immobility, etc. The fact that both the forms of sleep are found in mammals and birds, but not in reptiles (which are considered to be an intermediate stage) indicates that sleep might have evolved separately in both. Substantiating this might be followed by further research on whether the EEG correlates of sleep are involved in its functions or if they are merely a feature. This might further help in understanding the role of sleep in long term plasticity. According to Tsoukalas (2012), REM sleep is an evolutionary transformation of a well-known defensive mechanism, the tonic immobility reflex. This reflex, also known as animal hypnosis or death feigning, functions as the last line of defense against an attacking predator and consists of the total immobilization of the animal: the animal appears dead (cf. "playing possum"). The neurophysiology and phenomenology of this reaction show striking similarities to REM sleep, a fact which betrays a deep evolutionary kinship. For example, both reactions exhibit brainstem control, paralysis, sympathetic activation, and thermoregulatory changes. This theory integrates many earlier findings into a unified, and evolutionary well informed, framework. The ontogeny of sleep is the study of sleep across different age groups of a species, particularly during development and aging. Among mammals, infants sleep the longest. Human babies have 8 hours of REM sleep and 8 hours of NREM sleep on an average. The percentage of time spent on each mode of sleep varies greatly in the first few weeks of development and some studies have correlated this to the degree of precociality of the child. Within a few months of postnatal development, there is a marked reduction in percentage of hours spent in REM sleep. By the time the child becomes an adult, he spends about 6–7 hours in NREM sleep and only about an hour in REM sleep. This is true not only of humans, but of many animals dependent on their parents for food. The observation that the percentage of REM sleep is very high in the first stages of development has led to the hypothesis that REM sleep might facilitate early brain development. However, this theory has been contested by other studies. Sleep behavior undergoes substantial changes during adolescence. Some of these changes may be societal in humans, but other changes are hormonal. Another important change is the decrease in the number of hours of sleep, as compared to childhood, which gradually becomes identical to an adult. It is also being speculated that homeostatic regulation mechanisms may be altered during adolescence. Apart from this, the effect of changing routines of adolescents on other behavior such as cognition and attention is yet to be studied. Sleep in aging is another equally important area of research. A common observation is that many older adults spend time awake in bed after sleep onset in an inability to fall asleep and experience marked decrease in sleep efficiency. There may also be some changes in circadian rhythms. Studies are ongoing about what causes these changes and how they may be reduced to ensure comfortable sleep of old adults. Understanding the activity of different parts of the brain during sleep can give a clue to the functions of sleep. It has been observed that mental activity is present during all stages of sleep, though from different regions in the brain. So, contrary to popular understanding, the brain never completely shuts down during sleep. Also, sleep intensity of a particular region is homeostatically related to the corresponding amount of activity before sleeping. The use of imaging modalities like PET and fMRI, combined with EEG recordings, gives a clue to which brain regions participate in creating the characteristic wave signals and what their functions might be. The stages of sleep were first described in 1937 by Alfred Lee Loomis and his coworkers, who separated the different electroencephalography (EEG) features of sleep into five levels (A to E), representing the spectrum from wakefulness to deep sleep. In 1953, REM sleep was discovered as distinct, and thus William C. Dement and Nathaniel Kleitman reclassified sleep into four NREM stages and REM. The staging criteria were standardized in 1968 by Allan Rechtschaffen and Anthony Kales in the "R&K sleep scoring manual." In the R&K standard, NREM sleep was divided into four stages, with slow-wave sleep comprising stages 3 and 4. In stage 3, delta waves made up less than 50% of the total wave patterns, while they made up more than 50% in stage 4. Furthermore, REM sleep was sometimes referred to as stage 5. In 2004, the AASM commissioned the AASM Visual Scoring Task Force to review the R&K scoring system. The review resulted in several changes, the most significant being the combination of stages 3 and 4 into Stage N3. The revised scoring was published in 2007 as The AASM Manual for the Scoring of Sleep and Associated Events. Arousals, respiratory, cardiac, and movement events were also added. NREM sleep is characterized by decreased global and regional cerebral blood flow. Non-REM sleep which constitutes ~80% of all sleep in humans. Initially, it was expected that the brainstem, which was implicated in arousal would be inactive, but this was later on found to have been due to low resolution of PET studies and it was shown that there is some slow wave activity in the brainstem as well. However, other parts of the brain, including the precuneus, basal forebrain and basal ganglia are deactivated during sleep. Many areas of the cortex are also inactive, but to different levels. For example, the ventromedial prefrontal cortex is considered the least active area while the primary cortex, the least deactivated. NREM sleep is characterized by slow oscillations, spindles and delta waves. The slow oscillations have been shown to be from the cortex, as lesions in other parts of the brain do not affect them, but lesions in the cortex do. The delta waves have been shown to be generated by reciprocally connected thalamic and cortical neural circuits. During sleep, the thalamus stops relaying sensory information to the brain, however it continues to produce signals that are sent to its cortical projections. These waves are generated in the thalamus even in the absence of the cortex, but the cortical output seems to play a role in the simultaneous firing by large groups of neurons. The thalamic reticular nucleus is considered to be the pacemaker of the sleep spindles. This has been further substantiated by the fact that rhythmic stimulation of the thalamus leads to increased secondary depolarization in cortical neurons, which further results in the increased amplitude of firing, causing self-sustained activity. The sleep spindles have been predicted to play a role in disconnecting the cortex from sensory input and allowing entry of calcium ions into cells, thus potentially playing a role in Plasticity. NREM Stage 1 (N1 – light sleep, somnolence, drowsy sleep – 5–10% of total sleep in adults): This is a stage of sleep that usually occurs between sleep and wakefulness, and sometimes occurs between periods of deeper sleep and periods of REM. The muscles are active, and the eyes roll slowly, opening and closing moderately. The brain transitions from alpha waves having a frequency of 8–13 Hz (common in the awake state) to theta waves having a frequency of 4–7 Hz. Sudden twitches and hypnic jerks, also known as positive myoclonus, may be associated with the onset of sleep during N1. Some people may also experience hypnagogic hallucinations during this stage. During Non-REM1, humans lose some muscle tone and most conscious awareness of the external environment. NREM Stage 2 (N2 – 45–55% of total sleep in adults): In this stage, theta activity is observed and sleepers become gradually harder to awaken; the alpha waves of the previous stage are interrupted by abrupt activity called sleep spindles (or thalamocortical spindles) and K-complexes. Sleep spindles range from 11 to 16 Hz (most commonly 12–14 Hz). During this stage, muscular activity as measured by EMG decreases, and conscious awareness of the external environment disappears. 30 seconds of deep (stage N3) sleep. NREM Stage 3 (N3 – deep sleep, slow-wave sleep – 15–25% of total sleep in adults): Formerly divided into stages 3 and 4, this stage is called slow-wave sleep (SWS) or deep sleep. SWS is initiated in the preoptic area and consists of delta activity, high amplitude waves at less than 3.5 Hz. The sleeper is less responsive to the environment; many environmental stimuli no longer produce any reactions. Slow-wave sleep is thought to be the most restful form of sleep, the phase which most relieves subjective feelings of sleepiness and restores the body. This stage is characterized by the presence of a minimum of 20% delta waves ranging from 0.5–2 Hz and having a peak-to-peak amplitude >75 μV. (EEG standards define delta waves to be from 0 to 4 Hz, but sleep standards in both the original R&K model (Allan Rechtschaffen and Anthony Kales in the "R&K sleep scoring manual. "), as well as the new 2007 AASM guidelines have a range of 0.5–2 Hz.) This is the stage in which parasomnias such as night terrors, nocturnal enuresis, sleepwalking, and somniloquy occur. Many illustrations and descriptions still show a stage N3 with 20–50% delta waves and a stage N4 with greater than 50% delta waves; these have been combined as stage N3. A screenshot of a PSG of a person in REM sleep. Eye movements highlighted by red box. REM Stage (REM Sleep – 20–25% of total sleep in adults): REM sleep is where most muscles are paralyzed, and heart rate, breathing and body temperature become unregulated. REM sleep is turned on by acetylcholine secretion and is inhibited by neurons that secrete monoamines including serotonin. REM is also referred to as paradoxical sleep because the sleeper, although exhibiting high-frequency EEG waves similar to a waking state, is harder to arouse than at any other sleep stage. Vital signs indicate arousal and oxygen consumption by the brain is higher than when the sleeper is awake. REM sleep is characterized by high global cerebral blood flow, comparable to wakefulness. In fact, many areas in the cortex have been recorded to have more blood flow during REM sleep than even wakefulness- this includes the hippocampus, temporal-occipital areas, some parts of the cortex, and basal forebrain. The limbic and paralimbic system including the amygdala are other active regions during REM sleep. Though the brain activity during REM sleep appears very similar to wakefulness, the main difference between REM and wakefulness is that, arousal in REM is more effectively inhibited. This, along with the virtual silence of monoaminergic neurons in the brain, may be said to characterize REM. A newborn baby spends 8 to 9 hours a day just in REM sleep. By the age of five or so, only slightly over two hours is spent in REM. The function of REM sleep is uncertain but a lack of it impairs the ability to learn complex tasks. Functional paralysis from muscular atonia in REM may be necessary to protect organisms from self-damage through physically acting out scenes from the often-vivid dreams that occur during this stage. In EEG recordings, REM sleep is characterized by high frequency, low amplitude activity and spontaneous occurrence of beta and gamma waves. The best candidates for generation of these fast frequency waves are fast rhythmic bursting neurons in corticothalamic circuits. Unlike in slow wave sleep, the fast frequency rhythms are synchronized over restricted areas in specific local circuits between thalamocortical and neocortical areas. These are said to be generated by cholinergic processes from brainstem structures. Apart from this, the amygdala plays a role in REM sleep modulation, supporting the hypothesis that REM sleep allows internal information processing. The high amygdalar activity may also cause the emotional responses during dreams. Similarly, the bizarreness of dreams may be due to the decreased activity of prefrontal regions, which are involved in integrating information as well as episodic memory. REM sleep is also related to the firing of ponto-geniculo-occipital waves (also called phasic activity or PGO waves) and activity in the cholinergic ascending arousal system. The PGO waves have been recorded in the lateral geniculate nucleus and occipital cortex during the pre-REM period and are thought to represent dream content. The greater signal-to-noise ratio in the LG cortical channel suggests that visual imagery in dreams may appear before full development of REM sleep, but this has not yet been confirmed. PGO waves may also play a role in development and structural maturation of brain, as well as long term potentiation in immature animals, based on the fact that there is high PGO activity during sleep in the developmental brain. The other form of activity during sleep is reactivation. Some electrophysiological studies have shown that neuronal activity patterns found during a learning task before sleep are reactivated in the brain during sleep. This, along with the coincidence of active areas with areas responsible for memory have led to the theory that sleep might have some memory consolidation functions. In this relation, some studies have shown that after a sequential motor task, the pre-motor and visual cortex areas involved are most active during REM sleep, but not during NREM. Similarly, the hippocampal areas involved in spatial learning tasks are reactivated in NREM sleep, but not in REM. Such studies suggest a role of sleep in consolidation of specific memory types. It is, however, still unclear whether other types of memory are also consolidated by these mechanisms. The hippocampal neocortical dialog refers to the very structured interactions during SWS between groups of neurons called ensembles in the hippocampus and neocortex. Sharp wave patterns (SPW) dominate the hippocampus during SWS and neuron populations in the hippocampus participate in organized bursts during this phase. This is done in synchrony with state changes in the cortex (DOWN/UP state) and coordinated by the slow oscillations in cortex. These observations, coupled with the knowledge that the hippocampus plays a role in short to medium term memory whereas the cortex plays a role in long term memory, have led to the hypothesis that the hippocampal neocortical dialog might be a mechanism through which the hippocampus transfers information to the cortex. Thus, the hippocampal neocortical dialog is said to play a role in memory consolidation. Sleep regulation refers to the control of when an organism transitions between sleep and wakefulness. The key questions here are to identify which parts of the brain are involved in sleep onset and what their mechanisms of action are. In humans and most animals sleep and wakefulness seems to follow an electronic flip-flop model i.e. both states are stable, but the intermediate states are not. Of course, unlike in the flip-flop, in the case of sleep, there seems to be a timer ticking away from the minute of waking so that after a certain period one must sleep, and in such a case even waking becomes an unstable state. The reverse may also be true to a lesser extent. Some light was thrown on the mechanisms on sleep onset by the discovery that lesions in the preoptic area and anterior hypothalamus lead to insomnia while those in the posterior hypothalamus lead to sleepiness. Apart from this, it was found that lesions in oral pontine and midbrain reticular formation lead to loss of cortical activation. This was further narrowed down to show that the central midbrain tegmentum is the region that plays a role in cortical activation. Thus, sleep onset seems to arise from activation of the anterior hypothalamus along with inhibition of the posterior regions and the central midbrain tegmentum. Further research has shown that the hypothalamic region called ventrolateral preoptic nucleus produces the inhibitory neurotransmitter GABA that inhibits the arousal system during sleep onset. Sleep is regulated by two parallel mechanisms, homeostatic regulation and circadian regulation, controlled by the hypothalamus and the suprachiasmatic nucleus (SCN), respectively. Although the exact nature of sleep drive is unknown, homeostatic pressure builds up during wakefulness and this continues until the person goes to sleep. Adenosine is thought to play a critical role in this and many people have proposed that the pressure build-up is partially due to adenosine accumulation. However, some researchers have shown that accumulation alone does not explain this phenomenon completely. The circadian rhythm is a 24-hour cycle in the body, which has been shown to continue even in the absence of environmental cues. This is caused by projections from the SCN to the brain stem. This two process model was first proposed in 1982 by Borbely, who called them Process S (homeostatic) and Process C (Circadian) respectively. He showed how the slow wave density increases through the night and then drops off at the beginning of the day while the circadian rhythm is like a sinusoid. He proposed that the pressure to sleep was the maximum when the difference between the two was highest. In 1993, a different model called the opponent process model was proposed. This model explained that these two processes opposed each other to produce sleep, as against Borbely's model. According to this model, the SCN, which is involved in the circadian rhythm, enhances wakefulness and opposes the homeostatic rhythm. In opposition is the homeostatic rhythm, regulated via a complex multisynaptic pathway in the hypothalamus that acts like a switch and shuts off the arousal system. Both effects together produce a see-saw like effect of sleep and wakefulness. More recently, it has been proposed that both models have some validity to them, while new theories hold that inhibition of NREM sleep by REM could also play a role. In any case, the two process mechanism adds flexibility to the simple circadian rhythm and could have evolved as an adaptive measure. Much of the brain activity in sleep has been attributed to the thalamus and it appears that the thalamus may play a critical role in SWS. The two primary oscillations in slow wave sleep, delta and the slow oscillation, can be generated by both the thalamus and the cortex. However, sleep spindles can only be generated by the thalamus, making its role very important. The thalamic pacemaker hypothesis holds that these oscillations are generated by the thalamus but the synchronization of several groups of thalamic neurons firing simultaneously depends on the thalamic interaction with the cortex. The thalamus also plays a critical role in sleep onset when it changes from tonic to phasic mode, thus acting like a mirror for both central and decentral elements and linking distant parts of the cortex to co-ordinate their activity. The ascending reticular activating system consists of a set of neural subsystems that project from various thalamic nuclei and a number of dopaminergic, noradrenergic, serotonergic, histaminergic, cholinergic, and glutamatergic brain nuclei. When awake, it receives all kinds of non-specific sensory information and relays them to the cortex. It also modulates fight or flight responses and is hence linked to the motor system. During sleep onset, it acts via two pathways: a cholinergic pathway that projects to the cortex via the thalamus and a set of monoaminergic pathways that projects to the cortex via the hypothalamus. During NREM sleep this system is inhibited by GABAergic neurons in the ventrolateral preoptic area and parafacial zone, as well as other sleep-promoting neurons in distinct brain regions. The need and function of sleep are among the least clearly understood areas in sleep research. When asked, after 50 years of research, what he knew about the reason people sleep, William C. Dement, founder of Stanford University's Sleep Research Center, answered, "As far as I know, the only reason we need to sleep that is really, really solid is because we get sleepy." It is likely that sleep evolved to fulfill some primeval function and took on multiple functions over time (analogous to the larynx, which controls the passage of food and air, but descended over time to develop speech capabilities). The multiple hypotheses proposed to explain the function of sleep reflect the incomplete understanding of the subject. While some functions of sleep are known, others have been proposed but not completely substantiated or understood. Some of the early ideas about sleep function were based on the fact that most (if not all) external activity is stopped during sleep. Initially, it was thought that sleep was simply a mechanism for the body to "take a break" and reduce wear. Later observations of the low metabolic rates in the brain during sleep seemed to indicate some metabolic functions of sleep. This theory is not fully adequate as sleep only decreases metabolism by about 5–10%. With the development of EEG, it was found that the brain has almost continuous internal activity during sleep, leading to the idea that the function could be that of reorganization or specification of neuronal circuits or strengthening of connections. These hypotheses are still being explored. Other proposed functions of sleep include- maintaining hormonal balance, temperature regulation and maintaining heart rate. The "Preservation and Protection" theory holds that sleep serves an adaptive function. It protects the animal during that portion of the 24-hour day in which being awake, and hence roaming around, would place the individual at greatest risk. Organisms do not require 24 hours to feed themselves and meet other necessities. From this perspective of adaptation, organisms are safer by staying out of harm's way, where potentially they could be prey to other, stronger organisms. They sleep at times that maximize their safety, given their physical capacities and their habitats. This theory fails to explain why the brain disengages from the external environment during normal sleep. However, the brain consumes a large proportion of the body's energy at any one time and preservation of energy could only occur by limiting its sensory inputs. Another argument against the theory is that sleep is not simply a passive consequence of removing the animal from the environment, but is a "drive"; animals alter their behaviors in order to obtain sleep. Therefore, circadian regulation is more than sufficient to explain periods of activity and quiescence that are adaptive to an organism, but the more peculiar specializations of sleep probably serve different and unknown functions. Moreover, the preservation theory needs to explain why carnivores like lions, which are on top of the food chain and thus have little to fear, sleep the most. It has been suggested that they need to minimize energy expenditure when not hunting. During sleep, metabolic waste products, such as immunoglobulins, protein fragments or intact proteins like beta-amyloid, may be cleared from the interstitium via a glymphatic system of lymph-like channels coursing along perivascular spaces and the astrocyte network of the brain. According to this model, hollow tubes between the blood vessels and astrocytes act like a spillway allowing drainage of cerebrospinal fluid carrying wastes out of the brain into systemic blood. Such mechanisms, which remain under preliminary research as of 2017, indicate potential ways in which sleep is a regulated maintenance period for brain immune functions and clearance of beta-amyloid, a risk factor for Alzheimer's disease. Wound healing has been shown to be affected by sleep. It has been shown that sleep deprivation affects the immune system. It is now possible to state that "sleep loss impairs immune function and immune challenge alters sleep," and it has been suggested that sleep increases white blood cell counts. A 2014 study found that depriving mice of sleep increased cancer growth and dampened the immune system's ability to control cancers. Sleep has also been theorized to effectively combat the accumulation of free radicals in the brain, by increasing the efficiency of endogenous antioxidant mechanisms. The effect of sleep duration on somatic growth is not completely known. One study recorded growth, height, and weight, as correlated to parent-reported time in bed in 305 children over a period of nine years (age 1–10). It was found that "the variation of sleep duration among children does not seem to have an effect on growth." It is well established that slow-wave sleep affects growth hormone levels in adult men. During eight hours' sleep, Van Cauter, Leproult, and Plat found that the men with a high percentage of SWS (average 24%) also had high growth hormone secretion, while subjects with a low percentage of SWS (average 9%) had low growth hormone secretion. There is some supporting evidence of the restorative function of sleep. The sleeping brain has been shown to remove metabolic waste products at a faster rate than during an awake state. While awake, metabolism generates reactive oxygen species, which are damaging to cells. In sleep, metabolic rates decrease and reactive oxygen species generation is reduced allowing restorative processes to take over. It is theorized that sleep helps facilitate the synthesis of molecules that help repair and protect the brain from these harmful elements generated during waking. The metabolic phase during sleep is anabolic; anabolic hormones such as growth hormones (as mentioned above) are secreted preferentially during sleep. Energy conservation could as well have been accomplished by resting quiescent without shutting off the organism from the environment, potentially a dangerous situation. A sedentary nonsleeping animal is more likely to survive predators, while still preserving energy. Sleep, therefore, seems to serve another purpose, or other purposes, than simply conserving energy. Another potential purpose for sleep could be to restore signal strength in synapses that are activated while awake to a "baseline" level, weakening unnecessary connections that to better facilitate learning and memory functions again the next day; this means the brain is forgetting some of the things we learn each day. The secretion of many hormones is affected by sleep-wake cycles. For example, melatonin, a hormonal timekeeper, is considered a strongly circadian hormone, whose secretion increases at dim light and peaks during nocturnal sleep, diminishing with bright light to the eyes. In some organisms melatonin secretion depends on sleep, but in humans it is independent of sleep and depends only on light level. Of course, in humans as well as other animals, such a hormone may facilitate coordination of sleep onset. Similarly, cortisol and thyroid stimulating hormone (TSH) are strongly circadian and diurnal hormones, mostly independent of sleep. In contrast, other hormones like growth hormone (GH) & prolactin are critically sleep-dependent, and are suppressed in the absence of sleep. GH has maximum increase during SWS while prolactin is secreted early after sleep onset and rises through the night. In some hormones whose secretion is controlled by light level, sleep seems to increase secretion. Almost in all cases, sleep deprivation has detrimental effects. For example, cortisol, which is essential for metabolism (it is so important that animals can die within a week of its deficiency) and affects the ability to withstand noxious stimuli, is increased by waking and during REM sleep. Similarly, TSH increases during nocturnal sleep and decreases with prolonged periods of reduced sleep, but increases during total acute sleep deprivation. Because hormones play a major role in energy balance and metabolism, and sleep plays a critical role in the timing and amplitude of their secretion, sleep has a sizable effect on metabolism. This could explain some of the early theories of sleep function that predicted that sleep has a metabolic regulation role. The role of sleep in memory has long been suspected. Many initial studies focused primarily on testing the effect of sleep on memory after training a particular task (posttraining), but later studies have also confirmed the importance of pretraining sleep on learning a new task. Such behavioral and imaging measures in tests with both animal and human subjects have shown that pretraining sleep plays a critical role in preparing the memory for encoding and posttraining sleep plays a major role in memory consolidation. Further studies have looked at the specific effects of different stages of sleep on different types of memory. For example, it has been found that sleep deprivation does not significantly affect recognition of faces, but can produce a significant impairment of temporal memory (discriminating which face belonged to which set shown). Sleep deprivation was also found to increase beliefs of being correct, especially if they were wrong. Another study reported that the performance on free recall of a list of nouns is significantly worse when sleep deprived (an average of 2.8 ± 2 words) compared to having a normal night of sleep (4.7 ± 4 words). These results indicate the role of sleep on declarative memory formation. This has been further confirmed by observations of low metabolic activity in the prefrontal cortex and temporal and parietal lobes for the temporal learning and verbal learning tasks respectively. Data analysis has also shown that the neural assemblies during SWS correlated significantly more with templates than during waking hours or REM sleep. Also, post-learning, post-SWS reverberations lasted 48 hours, much longer than the duration of novel object learning (1 hour), indicating long term potentiation. Other observations include the importance of napping: improved performance in some kinds of tasks after a 1-hour afternoon nap; studies of performance of shift workers, showing that an equal number of hours of sleep in the day is not the same as in the night. Current research studies look at the molecular and physiological basis of memory consolidation during sleep. These, along with studies of genes that may play a role in this phenomenon, together promise to give a more complete picture of the role of sleep in memory. Sleep can also serve to weaken synaptic connections that were acquired over the course of the day but which are not essential to optimal functioning. In doing so, the resource demands can be lessened, since the upkeep and strengthening of synaptic connections constitutes a large portion of energy consumption by the brain and tax other cellular mechanisms such as protein synthesis for new channels. Without a mechanism like this taking place during sleep, the metabolic needs of the brain would increase over repeated exposure to daily synaptic strengthening, up to a point where the strains become excessive or untenable. One approach to understanding the role of sleep is to study the deprivation of it. Sleep deprivation is common and sometimes even necessary in modern societies because of occupational and domestic reasons like round-the-clock service, security or media coverage, cross-time-zone projects etc. This makes understanding the effects of sleep deprivation very important. Many studies have been done from the early 1900s to document the effect of sleep deprivation. The study of REM deprivation began with William C. Dement more than fifty years ago. He conducted a sleep and dream research project on eight subjects, all male. For a span of up to 7 days, he deprived the participants of REM sleep by waking them each time they started to enter the stage. He monitored this with small electrodes attached to their scalp and temples. 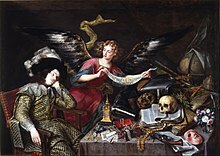 As the study went on, he noticed that the more he deprived the men of REM sleep, the more often he had to wake them. Afterwards, they showed more REM sleep than usual, later named REM rebound. The neurobehavioral basis for these has been studied only recently. Sleep deprivation has been strongly correlated with increased probability of accidents and industrial errors. Many studies have shown the slowing of metabolic activity in the brain with many hours of sleep debt. Some studies have also shown that the attention network in the brain is particularly affected by lack of sleep, and though some of the effects on attention may be masked by alternate activities (like standing or walking) or caffeine consumption, attention deficit cannot be completely avoided. Sleep deprivation has been shown to have a detrimental effect on cognitive tasks, especially involving divergent functions or multitasking. It also has effects on mood and emotion, and there have been multiple reports of increased tendency for rage, fear or depression with sleep debt. However, some of the higher cognitive functions seem to remain unaffected albeit slower. Many of these effects vary from person to person i.e. while some individuals have high degrees of cognitive impairment with lack of sleep, in others, it has minimal effects. The exact mechanisms for the above are still unknown and the exact neural pathways and cellular mechanisms of sleep debt are still being researched. A sleep disorder, or somnipathy, is a medical disorder of the sleep patterns of a person or animal. Polysomnography is a test commonly used for diagnosing some sleep disorders. Sleep disorders are broadly classified into dyssomnias, parasomnias, circadian rhythm sleep disorders, and other disorders including ones caused by medical or psychological conditions and sleeping sickness. Some common sleep disorders include insomnia (chronic inability to sleep), sleep apnea (abnormally low breathing during sleep), narcolepsy (excessive sleepiness at inappropriate times), cataplexy (sudden and transient loss of muscle tone), and sleeping sickness (disruption of sleep cycle due to infection). Other disorders that are being studied include sleepwalking, sleep terror and bed wetting. Studying sleep disorders is particularly useful as it gives some clues as to which parts of the brain may be involved in the modified function. This is done by comparing the imaging and histological patterns in normal and affected subjects. Treatment of sleep disorders typically involves behavioral and psychotherapeutic methods though other techniques may also be used. The choice of treatment methodology for a specific patient depends on the patient's diagnosis, medical and psychiatric history, and preferences, as well as the expertise of the treating clinician. Often, behavioral or psychotherapeutic and pharmacological approaches are compatible and can effectively be combined to maximize therapeutic benefits. A related field is that of sleep medicine which involves the diagnosis and therapy of sleep disorders and sleep deprivation, which is a major cause of accidents. This involves a variety of diagnostic methods including polysomnography, sleep diary, multiple sleep latency test, etc. Similarly, treatment may be behavioral such as cognitive behavioral therapy or may include pharmacological medication or bright light therapy. Dreams are successions of images, ideas, emotions, and sensations that occur involuntarily in the mind during certain stages of sleep (mainly the REM stage). The content and purpose of dreams are not yet clearly understood though various theories have been proposed. The scientific study of dreams is called oneirology. There are many theories about the neurological basis of dreaming. This includes the activation synthesis theory—the theory that dreams result from brain stem activation during REM sleep; the continual activation theory—the theory that dreaming is a result of activation and synthesis but dreams and REM sleep are controlled by different structures in the brain; and dreams as excitations of long term memory—a theory which claims that long term memory excitations are prevalent during waking hours as well but are usually controlled and become apparent only during sleep. There are multiple theories about dream function as well. Some studies claim that dreams strengthen semantic memories. This is based on the role of hippocampal neocortical dialog and general connections between sleep and memory. One study surmises that dreams erase junk data in the brain. Emotional adaptation and mood regulation are other proposed functions of dreaming. From an evolutionary standpoint, dreams might simulate and rehearse threatening events, that were common in the organism's ancestral environment, hence increasing a persons ability to tackle everyday problems and challenges in the present. For this reason these threatening events may have been passed on in the form of genetic memories. This theory accords well with the claim that REM sleep is an evolutionary transformation of a well-known defensive mechanism, the tonic immobility reflex. Most theories of dream function appear to be conflicting, but it is possible that many short-term dream functions could act together to achieve a bigger long-term function. It may be noted that evidence for none of these theories is entirely conclusive. The incorporation of waking memory events into dreams is another area of active research and some researchers have tried to link it to the declarative memory consolidation functions of dreaming. A related area of research is the neuroscience basis of nightmares. Many studies have confirmed a high prevalence of nightmares and some have correlated them with high stress levels. Multiple models of nightmare production have been proposed including neo-Freudian models as well as other models such as image contextualization model, boundary thickness model, threat simulation model etc. Neurotransmitter imbalance has been proposed as a cause of nightmares, as also affective network dysfunction- a model which claims that nightmare is a product of dysfunction of circuitry normally involved in dreaming. As with dreaming, none of the models have yielded conclusive results and studies continue about these questions. ^ "A brief history of sleep research". ^ "NCBI Sleep Guide". Archived from the original on 2007-01-10. ^ Cirelli C, Shaw PJ, Rechtschaffen A, Tononi G (September 1999). "No evidence of brain cell degeneration after long-term sleep deprivation in rats". Brain Research. 840 (1–2): 184–93. doi:10.1016/s0006-8993(99)01768-0. PMID 10517970. ^ Stickgold R, Valker MP (22 May 2010). The Neuroscience of Sleep. p. xiii. ISBN 9780123757227. Retrieved 18 July 2015. ^ Konnikova M (8 July 2015). "The Work We Do While We Sleep". The New Yorker. Retrieved 17 July 2015. The Harvard sleep researcher Robert Stickgold has recalled his former collaborator J. Allan Hobson joking that the only known function of sleep is to cure sleepiness. ^ Kilduff TS, Lein ES, de la Iglesia H, Sakurai T, Fu YH, Shaw P (November 2008). "New developments in sleep research: molecular genetics, gene expression, and systems neurobiology". The Journal of Neuroscience. 28 (46): 11814–8. doi:10.1523/JNEUROSCI.3768-08.2008. PMC 2628168. PMID 19005045. ^ a b c d Stickgold, Robert (2009). The Neuroscience of Sleep. Amsterdam: Boston : Academic Press/Elsevier. pp. 61–86. ISBN 9780123750730. ^ Siegel JM (April 2008). "Do all animals sleep?". Trends in Neurosciences. 31 (4): 208–13. doi:10.1016/j.tins.2008.02.001. PMID 18328577. ^ a b Eve Van Cauter & Karine Spiegel (1999). "Circadian and Sleep Control of Hormonal Secretions", in Turek & Zee (eds. ), Regulation of Sleep and Circadian Rhythms, pp. 397–425. ^ Hobson JA, McCarley RW (December 1977). "The brain as a dream state generator: an activation-synthesis hypothesis of the dream process". The American Journal of Psychiatry. 134 (12): 1335–48. doi:10.1176/ajp.134.12.1335. PMID 21570. ^ "Online Free Medical Dictionary". ^ Anch, A. Michael (1988). Sleep : a scientific perspective. Englewood Cliffs, N.J.: Prentice Hall. ISBN 9780138129187. ^ Thorpy MJ, Yager J (2001). The encyclopedia of sleep and sleep disorders (2nd ed.). New York: Facts on File. ISBN 978-0-8160-4089-6. ^ Magnin M, Rey M, Bastuji H, Guillemant P, Mauguière F, Garcia-Larrea L (February 2010). "Thalamic deactivation at sleep onset precedes that of the cerebral cortex in humans". Proceedings of the National Academy of Sciences of the United States of America. 107 (8): 3829–33. Bibcode:2010PNAS..107.3829M. doi:10.1073/pnas.0909710107. PMC 2840430. PMID 20142493. ^ Jones EG (March 2009). "Synchrony in the interconnected circuitry of the thalamus and cerebral cortex". Annals of the New York Academy of Sciences. 1157 (1): 10–23. Bibcode:2009NYASA1157...10J. doi:10.1111/j.1749-6632.2009.04534.x. PMID 19351352. ^ Somers VK, Dyken ME, Mark AL, Abboud FM (February 1993). "Sympathetic-nerve activity during sleep in normal subjects". The New England Journal of Medicine. 328 (5): 303–7. doi:10.1056/NEJM199302043280502. PMID 8419815. ^ Tononi G, Cirelli C (February 2006). "Sleep function and synaptic homeostasis". Sleep Medicine Reviews. 10 (1): 49–62. doi:10.1016/j.smrv.2005.05.002. PMID 16376591. ^ a b Dement W, Kleitman N (November 1957). "Cyclic variations in EEG during sleep and their relation to eye movements, body motility, and dreaming". Electroencephalography and Clinical Neurophysiology. 9 (4): 673–90. doi:10.1016/0013-4694(57)90088-3. PMID 13480240. ^ Hughes JR (July 2008). "Gamma, fast, and ultrafast waves of the brain: their relationships with epilepsy and behavior". Epilepsy & Behavior. 13 (1): 25–31. doi:10.1016/j.yebeh.2008.01.011. PMID 18439878. ^ Barker W, Burgwin S (Nov–Dec 1948). "Brain wave patterns accompanying changes in sleep and wakefulness during hypnosis". Psychosomatic Medicine. 10 (6): 317–26. doi:10.1097/00006842-194811000-00002. PMID 18106841. ^ Jankel WR, Niedermeyer E (January 1985). "Sleep spindles". Journal of Clinical Neurophysiology. 2 (1): 1–35. doi:10.1097/00004691-198501000-00001. PMID 3932462. ^ a b Hofle N, Paus T, Reutens D, Fiset P, Gotman J, Evans AC, Jones BE (June 1997). "Regional cerebral blood flow changes as a function of delta and spindle activity during slow wave sleep in humans". The Journal of Neuroscience. 17 (12): 4800–8. doi:10.1523/JNEUROSCI.17-12-04800.1997. PMID 9169538. ^ Oswald I, Taylor AM, Treisman M (September 1960). "Discriminative responses to stimulation during human sleep". Brain: A Journal of Neurology. 83 (3): 440–53. doi:10.1093/brain/83.3.440. PMID 13731563. ^ Loomis AL, Harvey EN, Hobart GA (1938). "Distribution of disturbance-patterns in the human electroencephalogram with special reference to sleep". Journal of Neurophysiology. 1 (5): 413–430. doi:10.1152/jn.1938.1.5.413. ^ Dumermuth G, Walz W, Scollo-Lavizzari G, Kleiner B (1 January 1972). "Spectral analysis of EEG activity in different sleep stages in normal adults". European Neurology. 7 (5): 265–96. doi:10.1159/000114432. PMID 4339034. ^ McNamara, P., R. A. Barton, and C. L. Nunn. 2010, Evolution of sleep: Phylogenetic and functional perspectives. Cambridge University Press, Cambridge. ^ Capellini I, Nunn CL, McNamara P, Preston BT, Barton RA (October 2008). "Energetic constraints, not predation, influence the evolution of sleep patterning in mammals". Functional Ecology. 22 (5): 847–853. doi:10.1111/j.1365-2435.2008.01449.x. PMC 2860325. PMID 20428321. ^ Acerbi A, McNamara P, Nunn CL (May 2008). "To sleep or not to sleep: the ecology of sleep in artificial organisms". BMC Ecology. 8: 10. doi:10.1186/1472-6785-8-10. PMC 2396600. PMID 18479523. ^ Preston, B. T., I. Capellini, P. McNamara, R. A. Barton, and C. L. Nunn. 2009. Parasite resistance and the adaptive significance of sleep. Bmc Evolutionary Biology 9. ^ Allison T, Van Twyver H, Goff WR (July 1972). "Electrophysiological studies of the echidna, Tachyglossus aculeatus. I. Waking and sleep". Archives Italiennes de Biologie. 110 (2): 145–84. PMID 4342268. ^ Siegel JM, Manger PR, Nienhuis R, Fahringer HM, Pettigrew JD (May 1996). "The echidna Tachyglossus aculeatus combines REM and non-REM aspects in a single sleep state: implications for the evolution of sleep". The Journal of Neuroscience. 16 (10): 3500–6. doi:10.1523/JNEUROSCI.16-10-03500.1996. PMID 8627382. ^ Mukhametov, Lev M. (1987). "Unihemispheric slow-wave sleep in the Amazonian dolphin, Inia geoffrensis". Neuroscience Letters. 79 (1–2): 128–132. Bibcode:2006NeuL..400..197D. doi:10.1016/0304-3940(87)90684-7. ^ Lyamin OI, Mukhametov LM, Siegel JM, Nazarenko EA, Polyakova IG, Shpak OV (February 2002). "Unihemispheric slow wave sleep and the state of the eyes in a white whale". Behavioural Brain Research. 129 (1–2): 125–9. doi:10.1016/S0166-4328(01)00346-1. PMID 11809503. ^ Roth TC, Lesku JA, Amlaner CJ, Lima SL (December 2006). "A phylogenetic analysis of the correlates of sleep in birds". Journal of Sleep Research. 15 (4): 395–402. doi:10.1111/j.1365-2869.2006.00559.x. PMID 17118096. ^ Mascetti GG, Bobbo D, Rugger M, Vallortigara G (August 2004). "Monocular sleep in male domestic chicks". Behavioural Brain Research. 153 (2): 447–52. doi:10.1016/j.bbr.2003.12.022. PMID 15265641. ^ Rattenborg NC, Lima SL, Amlaner CJ (November 1999). "Facultative control of avian unihemispheric sleep under the risk of predation". Behavioural Brain Research. 105 (2): 163–72. doi:10.1016/S0166-4328(99)00070-4. PMID 10563490. ^ Shaw, P. J. (2000). "Correlates of Sleep and Waking in Drosophila melanogaster". Science. 287 (5459): 1834–1837. Bibcode:2000Sci...287.1834S. doi:10.1126/science.287.5459.1834. ^ Sauer S, Kinkelin M, Herrmann E, Kaiser W (August 2003). "The dynamics of sleep-like behaviour in honey bees". Journal of Comparative Physiology A. 189 (8): 599–607. doi:10.1007/s00359-003-0436-9. PMID 12861424. ^ a b Tsoukalas, Ioannis (2012). "The origin of REM sleep: A hypothesis". Dreaming. 22 (4): 253–283. doi:10.1037/a0030790. ^ Parmelee AH, Wenner WH, Schulz HR (1 October 1964). "Infant sleep patterns: From birth to 16 weeks of age". The Journal of Pediatrics. 65 (4): 576–582. doi:10.1016/S0022-3476(64)80291-2. PMID 14216645. ^ a b Gertner S, Greenbaum CW, Sadeh A, Dolfin Z, Sirota L, Ben-Nun Y (July 2002). "Sleep-wake patterns in preterm infants and 6 month's home environment: implications for early cognitive development". Early Human Development. 68 (2): 93–102. doi:10.1016/S0378-3782(02)00018-X. PMID 12113995. ^ a b Van Cauter E, Leproult R, Plat L (August 2000). "Age-related changes in slow wave sleep and REM sleep and relationship with growth hormone and cortisol levels in healthy men". JAMA. 284 (7): 861–8. doi:10.1001/jama.284.7.861. PMID 10938176. ^ Ibuka, Nobuo (1984). "Ontogenesis of circadian sleep-wakefulness rhythms and developmental changes of sleep in the altricial rat and in the precocial guinea pig". Behavioural Brain Research. 11 (3): 185–196. doi:10.1016/0166-4328(84)90210-9. ^ Carskadon MA, Wolfson AR, Acebo C, Tzischinsky O, Seifer R (December 1998). "Adolescent sleep patterns, circadian timing, and sleepiness at a transition to early school days". Sleep. 21 (8): 871–81. doi:10.1093/sleep/21.8.871. PMID 9871949. ^ Wolfson AR, Carskadon MA (August 1998). "Sleep schedules and daytime functioning in adolescents". Child Development. 69 (4): 875–87. doi:10.1111/j.1467-8624.1998.tb06149.x. PMID 9768476. ^ Weitzman ED, Czeisler CA, Coleman RM, Spielman AJ, Zimmerman JC, Dement W, Richardson G, Pollak CP (July 1981). "Delayed sleep phase syndrome. A chronobiological disorder with sleep-onset insomnia". Archives of General Psychiatry. 38 (7): 737–46. doi:10.1001/archpsyc.1981.01780320017001. PMID 7247637. ^ Myers BL, Badia P (1995). "Changes in circadian rhythms and sleep quality with aging: mechanisms and interventions". Neuroscience and Biobehavioral Reviews. 19 (4): 553–71. doi:10.1016/0149-7634(95)00018-6. PMID 8684716. ^ Borbély AA (1 January 1998). "Processes underlying sleep regulation". Hormone Research. 49 (3–4): 114–7. doi:10.1159/000023156. PMID 9550110. ^ Mazoyer B, Houdé O, Joliot M, Mellet E, Tzourio-Mazoyer N (September 2009). "Regional cerebral blood flow increases during wakeful rest following cognitive training". Brain Research Bulletin. 80 (3): 133–8. doi:10.1016/j.brainresbull.2009.06.021. PMID 19589374. ^ Loomis AL, Harvey EN, Hobart GA (1937). "III Cerebral states during sleep, as studied by human brain potentials". J. Exp. Psychol. 21 (2): 127–44. doi:10.1037/h0057431. ^ a b Brown, pp. 1108–1109. ^ a b Rechtschaffen A, Kales A, eds. (1968). A Manual of Standardized Terminology, Techniques and Scoring System for Sleep Stages of Human Subjects (PDF). Washington: Public Health Service, US Government Printing Office. ^ Iber C, Ancoli-Israel S, Chesson A, Quan SF, American Academy of Sleep Medicine (2007). The AASM Manual for the Scoring of Sleep and Associated Events: Rules, Terminology and Technical Specifications. Westchester: American Academy of Sleep Medicine. ^ Schulz H (April 2008). "Rethinking sleep analysis". Journal of Clinical Sleep Medicine. 4 (2): 99–103. PMC 2335403. PMID 18468306. ^ Parmeggiani (2011), Systemic Homeostasis and Poikilostasis in Sleep, passim. ^ Braun, A. (1997). "Regional cerebral blood flow throughout the sleep-wake cycle. An H2(15)O PET study". Brain. 120 (7): 1173–1197. doi:10.1093/brain/120.7.1173. ^ McGinty DJ, Sterman MB (June 1968). "Sleep suppression after basal forebrain lesions in the cat". Science. 160 (3833): 1253–5. Bibcode:1968Sci...160.1253M. doi:10.1126/science.160.3833.1253. PMID 5689683. ^ editor, Axel Hutt (2011-07-12). Sleep and anesthesia : neural correlates in theory and experiment. New York: Springer. ISBN 9781461401728. ^ Steriade, M (1997). "Synchronized activities of coupled oscillators in the cerebral cortex and thalamus at different levels of vigilance [published erratum appears in Cereb Cortex 1997 Dec;7(8):779]". Cerebral Cortex. 7 (6): 583–604. doi:10.1093/cercor/7.6.583. ^ Contreras D, Destexhe A, Sejnowski TJ, Steriade M (February 1997). "Spatiotemporal patterns of spindle oscillations in cortex and thalamus". The Journal of Neuroscience. 17 (3): 1179–96. doi:10.1523/JNEUROSCI.17-03-01179.1997. PMID 8994070. ^ a b Fuller PM, Gooley JJ, Saper CB (December 2006). "Neurobiology of the sleep-wake cycle: sleep architecture, circadian regulation, and regulatory feedback". Journal of Biological Rhythms. 21 (6): 482–93. doi:10.1177/0748730406294627. PMID 17107938. ^ a b Daniel L S, Gilbert DT, Wegner DM (2009). Psychology. Worth Publishers. ISBN 978-1-4292-0615-0. ^ Waterhouse J, Fukuda Y, Morita T (March 2012). "Daily rhythms of the sleep-wake cycle". Journal of Physiological Anthropology. 31: 5. doi:10.1186/1880-6805-31-5. PMC 3375033. PMID 22738268. ^ Myers DG (22 September 2003). Psychology, Seventh Edition, in Modules (High School Version). Macmillan. pp. 268–. ISBN 978-0-7167-8595-8. Retrieved 22 August 2012. ^ a b Reivich M, Isaacs G, Evarts E, Kety S (April 1968). "The effect of slow wave sleep and REM sleep on regional cerebral blood flow in cats". Journal of Neurochemistry. 15 (4): 301–6. Bibcode:2006JNeur..26.9606G. doi:10.1111/j.1471-4159.1968.tb11614.x. PMID 5641651. ^ Maquet, Pierre; Péters, Jean-Marie; Aerts, Joël; Delfiore, Guy; Degueldre, Christian; Luxen, André; Franck, Georges (1996). "Functional neuroanatomy of human rapid eye movement sleep and dreaming" (PDF). Nature. 383 (6596): 163–6. Bibcode:1996Natur.383..163M. doi:10.1038/383163a0. PMID 8774879. ^ a b Saper CB, Scammell TE, Lu J (October 2005). "Hypothalamic regulation of sleep and circadian rhythms". Nature. 437 (7063): 1257–63. Bibcode:2005Natur.437.1257S. doi:10.1038/nature04284. PMID 16251950. ^ Siegel, Jerome M (1999). "Sleep". Encarta Encyclopedia. Microsoft. Archived from the original on 14 December 2007. Retrieved 25 January 2008. ^ Siegel JM (June 2006). "The stuff dreams are made of: anatomical substrates of REM sleep". Nature Neuroscience. 9 (6): 721–2. doi:10.1038/nn0606-721. PMID 16732200. ^ Nelson JP, McCarley RW, Hobson JA (October 1983). "REM sleep burst neurons, PGO waves, and eye movement information". Journal of Neurophysiology. 50 (4): 784–97. doi:10.1152/jn.1983.50.4.784. PMID 6631463. ^ Hobson JA, Stickgold R, Pace-Schott EF (February 1998). "The neuropsychology of REM sleep dreaming". NeuroReport. 9 (3): R1–14. doi:10.1097/00001756-199802160-00033. PMID 9512371. ^ Wilson MA, McNaughton BL (July 1994). "Reactivation of hippocampal ensemble memories during sleep". Science. 265 (5172): 676–9. Bibcode:1994Sci...265..676W. doi:10.1126/science.8036517. PMID 8036517. ^ Stickgold R, Walker MP (June 2007). "Sleep-dependent memory consolidation and reconsolidation". Sleep Medicine. 8 (4): 331–43. doi:10.1016/j.sleep.2007.03.011. PMC 2680680. PMID 17470412. ^ Buzsáki, G. (1 January 1996). "The Hippocampo-Neocortical Dialogue". Cerebral Cortex. 6 (2): 81–92. doi:10.1093/cercor/6.2.81. ^ BuzsÁk, GyÖrgy (1 June 1998). "Memory consolidation during sleep: a neurophysiological perspective". Journal of Sleep Research. 7 (S1): 17–23. doi:10.1046/j.1365-2869.7.s1.3.x. ^ Ferrara M, Moroni F, De Gennaro L, Nobili L (1 January 2012). "Hippocampal sleep features: relations to human memory function". Frontiers in Neurology. 3: 57. doi:10.3389/fneur.2012.00057. PMC 3327976. PMID 22529835. ^ "Harvard Medical School Sleep Basics". ^ Siegel, Jerome H. (2002). The Neural Control of Sleep and Waking. Springer. ISBN 9780387955360. ^ a b Saper CB, Chou TC, Scammell TE (December 2001). "The sleep switch: hypothalamic control of sleep and wakefulness". Trends in Neurosciences. 24 (12): 726–31. doi:10.1016/S0166-2236(00)02002-6. PMID 11718878. ^ Lu J, Sherman D, Devor M, Saper CB (June 2006). "A putative flip-flop switch for control of REM sleep". Nature. 441 (7093): 589–94. Bibcode:2006Natur.441..589L. doi:10.1038/nature04767. PMID 16688184. ^ Sallanon M, Denoyer M, Kitahama K, Aubert C, Gay N, Jouvet M (1989). "Long-lasting insomnia induced by preoptic neuron lesions and its transient reversal by muscimol injection into the posterior hypothalamus in the cat". Neuroscience. 32 (3): 669–83. doi:10.1016/0306-4522(89)90289-3. PMID 2601839. ^ Swett CP, Hobson JA (September 1968). "The effects of posterior hypothalamic lesions on behavioral and electrographic manifestations of sleep and waking in cats". Archives Italiennes de Biologie. 106 (3): 283–93. PMID 5724423. ^ Webster HH, Jones BE (August 1988). "Neurotoxic lesions of the dorsolateral pontomesencephalic tegmentum-cholinergic cell area in the cat. II. Effects upon sleep-waking states". Brain Research. 458 (2): 285–302. doi:10.1016/0006-8993(88)90471-4. PMID 2905197. ^ Borbély AA (1982). "A two process model of sleep regulation". Human Neurobiology. 1 (3): 195–204. PMID 7185792. ^ Edgar DM, Dement WC, Fuller CA (March 1993). "Effect of SCN lesions on sleep in squirrel monkeys: evidence for opponent processes in sleep-wake regulation". The Journal of Neuroscience. 13 (3): 1065–79. doi:10.1523/JNEUROSCI.13-03-01065.1993. PMID 8441003. ^ McCormick DA, Bal T (1 March 1997). "Sleep and arousal: thalamocortical mechanisms". Annual Review of Neuroscience. 20 (1): 185–215. doi:10.1146/annurev.neuro.20.1.185. PMID 9056712. ^ Sforza E, Montagna P, Tinuper P, Cortelli P, Avoni P, Ferrillo F, Petersen R, Gambetti P, Lugaresi E (June 1995). "Sleep-wake cycle abnormalities in fatal familial insomnia. Evidence of the role of the thalamus in sleep regulation". Electroencephalography and Clinical Neurophysiology. 94 (6): 398–405. doi:10.1016/0013-4694(94)00318-F. PMID 7607093. ^ Tinuper P, Montagna P, Medori R, Cortelli P, Zucconi M, Baruzzi A, Lugaresi E (August 1989). "The thalamus participates in the regulation of the sleep-waking cycle. A clinico-pathological study in fatal familial thalamic degeneration". Electroencephalography and Clinical Neurophysiology. 73 (2): 117–23. doi:10.1016/0013-4694(89)90190-9. PMID 2473878. ^ Coulon P, Budde T, Pape HC (January 2012). "The sleep relay--the role of the thalamus in central and decentral sleep regulation". Pflügers Archiv. 463 (1): 53–71. doi:10.1007/s00424-011-1014-6. PMID 21912835. ^ Iwańczuk W, Guźniczak P (2015). "Neurophysiological foundations of sleep, arousal, awareness and consciousness phenomena. Part 1". Anaesthesiology Intensive Therapy. 47 (2): 162–7. doi:10.5603/AIT.2015.0015. PMID 25940332. The ascending reticular activating system (ARAS) is responsible for a sustained wakefulness state. It receives information from sensory receptors of various modalities, transmitted through spinoreticular pathways and cranial nerves (trigeminal nerve — polymodal pathways, olfactory nerve, optic nerve and vestibulocochlear nerve — monomodal pathways). These pathways reach the thalamus directly or indirectly via the medial column of reticular formation nuclei (magnocellular nuclei and reticular nuclei of pontine tegmentum). The reticular activating system begins in the dorsal part of the posterior midbrain and anterior pons, continues into the diencephalon, and then divides into two parts reaching the thalamus and hypothalamus, which then project into the cerebral cortex (Fig. 1). The thalamic projection is dominated by cholinergic neurons originating from the pedunculopontine tegmental nucleus of pons and midbrain (PPT) and laterodorsal tegmental nucleus of pons and midbrain (LDT) nuclei [17, 18]. The hypothalamic projection involves noradrenergic neurons of the locus coeruleus (LC) and serotoninergic neurons of the dorsal and median raphe nuclei (DR), which pass through the lateral hypothalamus and reach axons of the histaminergic tubero-mamillary nucleus (TMN), together forming a pathway extending into the forebrain, cortex and hippocampus. Cortical arousal also takes advantage of dopaminergic neurons of the substantia nigra (SN), ventral tegmenti area (VTA) and the periaqueductal grey area (PAG). Fewer cholinergic neurons of the pons and midbrain send projections to the forebrain along the ventral pathway, bypassing the thalamus [19, 20]. ^ Malenka RC, Nestler EJ, Hyman SE (2009). "Chapter 12: Sleep and Arousal". In Sydor A, Brown RY (eds.). Molecular Neuropharmacology: A Foundation for Clinical Neuroscience (2nd ed.). New York, USA: McGraw-Hill Medical. p. 295. ISBN 9780071481274. The RAS is a complex structure consisting of several different circuits including the four monoaminergic pathways ... The norepinephrine pathway originates from the locus ceruleus (LC) and related brainstem nuclei; the serotonergic neurons originate from the raphe nuclei within the brainstem as well; the dopaminergic neurons originate in ventral tegmental area (VTA); and the histaminergic pathway originates from neurons in the tuberomammillary nucleus (TMN) of the posterior hypothalamus. As discussed in Chapter 6, these neurons project widely throughout the brain from restricted collections of cell bodies. Norepinephrine, serotonin, dopamine, and histamine have complex modulatory functions and, in general, promote wakefulness. The PT in the brain stem is also an important component of the ARAS. Activity of PT cholinergic neurons (REM-on cells) promotes REM sleep. During waking, REM-on cells are inhibited by a subset of ARAS norepinephrine and serotonin neurons called REM-off cells. ^ Max DT (May 2010). "The Secrets of Sleep". National Geographic Magazine. ^ Krueger JM, Rector DM, Roy S, Van Dongen HP, Belenky G, Panksepp J (December 2008). "Sleep as a fundamental property of neuronal assemblies". Nature Reviews. Neuroscience. 9 (12): 910–9. doi:10.1038/nrn2521. PMC 2586424. PMID 18985047. ^ Wolstenholme GE, O'Connor M (1961). Ciba Foundation symposium on the nature of sleep. Boston: Little, Brown. ISBN 978-0-470-71922-0. ^ "Sleep Syllabus. B. The Phylogeny of Sleep". Sleep Research Society, Education Committee. Archived from the original on 2005-03-18. Retrieved 26 September 2010. ^ "Function of Sleep.". Scribd.com. Retrieved on 1 December 2011. ^ Krueger JM, Obál F, Fang J (June 1999). "Why we sleep: a theoretical view of sleep function". Sleep Medicine Reviews. 3 (2): 119–29. doi:10.1016/S1087-0792(99)90019-9. PMID 15310481. ^ Krueger JM, Obál F (June 1993). "A neuronal group theory of sleep function". Journal of Sleep Research. 2 (2): 63–69. doi:10.1111/j.1365-2869.1993.tb00064.x. PMID 10607073. ^ Choi, Charles Q. (25 August 2009) New Theory Questions Why We Sleep, LiveScience.com. ^ Xie L, Kang H, Xu Q, Chen MJ, Liao Y, Thiyagarajan M, O'Donnell J, Christensen DJ, Nicholson C, Iliff JJ, Takano T, Deane R, Nedergaard M (October 2013). "Sleep drives metabolite clearance from the adult brain". Science. 342 (6156): 373–7. Bibcode:2013Sci...342..373X. doi:10.1126/science.1241224. PMC 3880190. PMID 24136970. ^ a b c Nedergaard M, Goldman SA (2016). "Brain drain". Scientific American. 314 (March): 44–49. Bibcode:2016SciAm.314c..44N. doi:10.1038/scientificamerican0316-44. ^ a b Strazielle N, Ghersi-Egea JF (May 2013). "Physiology of blood-brain interfaces in relation to brain disposition of small compounds and macromolecules". Molecular Pharmaceutics. 10 (5): 1473–91. doi:10.1021/mp300518e. PMID 23298398. ^ Gümüştekín K, Seven B, Karabulut N, Aktaş O, Gürsan N, Aslan S, Keleş M, Varoglu E, Dane S (November 2004). "Effects of sleep deprivation, nicotine, and selenium on wound healing in rats". The International Journal of Neuroscience (Submitted manuscript). 114 (11): 1433–42. doi:10.1080/00207450490509168. PMID 15636354. ^ Zager A, Andersen ML, Ruiz FS, Antunes IB, Tufik S (July 2007). "Effects of acute and chronic sleep loss on immune modulation of rats". American Journal of Physiology. Regulatory, Integrative and Comparative Physiology. 293 (1): R504–9. doi:10.1152/ajpregu.00105.2007. PMID 17409265. ^ Opp MR (January 2009). "Sleeping to fuel the immune system: mammalian sleep and resistance to parasites". BMC Evolutionary Biology. 9: 8. doi:10.1186/1471-2148-9-8. PMC 2633283. PMID 19134176. ^ Reimund E (October 1994). "The free radical flux theory of sleep". Medical Hypotheses. 43 (4): 231–3. doi:10.1016/0306-9877(94)90071-X. PMID 7838006. ^ Jenni OG, Molinari L, Caflisch JA, Largo RH (October 2007). "Sleep duration from ages 1 to 10 years: variability and stability in comparison with growth". Pediatrics. 120 (4): e769–76. doi:10.1542/peds.2006-3300. PMID 17908734. ^ "Brain may flush out toxins during sleep". National Institutes of Health. Retrieved 25 October 2013. ^ Siegel JM (October 2005). "Clues to the functions of mammalian sleep". Nature. 437 (7063): 1264–71. Bibcode:2005Natur.437.1264S. doi:10.1038/nature04285. PMID 16251951. ^ a b Cirelli C, Tononi G (August 2013). "Perchance to Prune". Scientific American. 309 (2): 34–39. Bibcode:2013SciAm.309b..34T. doi:10.1038/scientificamerican0813-34. ^ Lewy AJ, Wehr TA, Goodwin FK, Newsome DA, Markey SP (December 1980). "Light suppresses melatonin secretion in humans". Science. 210 (4475): 1267–9. Bibcode:1980Sci...210.1267L. doi:10.1126/science.7434030. PMID 7434030. ^ Leproult R, Colecchia EF, L'Hermite-Balériaux M, Van Cauter E (January 2001). "Transition from dim to bright light in the morning induces an immediate elevation of cortisol levels". The Journal of Clinical Endocrinology and Metabolism. 86 (1): 151–7. doi:10.1210/jcem.86.1.7102. PMID 11231993. ^ Van Cauter E, Kerkhofs M, Caufriez A, Van Onderbergen A, Thorner MO, Copinschi G (June 1992). "A quantitative estimation of growth hormone secretion in normal man: reproducibility and relation to sleep and time of day". The Journal of Clinical Endocrinology and Metabolism. 74 (6): 1441–50. doi:10.1210/jcem.74.6.1592892. PMID 1592892. ^ Kern W, Dodt C, Born J, Fehm HL (January 1996). "Changes in cortisol and growth hormone secretion during nocturnal sleep in the course of aging". The Journals of Gerontology. Series A, Biological Sciences and Medical Sciences. 51 (1): M3–9. doi:10.1093/gerona/51A.1.M3. PMID 8548511. ^ a b Knutson KL, Spiegel K, Penev P, Van Cauter E (June 2007). "The metabolic consequences of sleep deprivation". Sleep Medicine Reviews. 11 (3): 163–78. doi:10.1016/j.smrv.2007.01.002. PMC 1991337. PMID 17442599. ^ Spiegel K, Leproult R, Van Cauter E (October 1999). "Impact of sleep debt on metabolic and endocrine function". Lancet. 354 (9188): 1435–9. doi:10.1016/S0140-6736(99)01376-8. PMID 10543671. ^ Tononi G (2011). Sleep function and synaptic homeostasis (Conference talk). Allen Institute. ^ Carlson NR, Miller HL, Heth DS, Donahoe JW, Martin GN (2010). Psychology The Science of Behavior, Books a La Carte Edition. Pearson College Div. ISBN 978-0-205-76223-1. ^ Hock RR (2013). "To sleep, no doubt to dream…". Forty Studies That Changed Psychology (7th ed.). Upper Saddle River, NJ: Pearson Education. pp. 42–49. ISBN 978-0-205-91839-3. ^ Dement W (1966). "Chapter 12: The Effect of Dream Deprivation: The need for a certain amount of dreaming each night is suggested by recent experiments". Brian Physiology and Psychology. University of California Press. ^ a b Van Dongen HP, Maislin G, Mullington JM, Dinges DF (March 2003). "The cumulative cost of additional wakefulness: dose-response effects on neurobehavioral functions and sleep physiology from chronic sleep restriction and total sleep deprivation". Sleep. 26 (2): 117–26. doi:10.1093/sleep/26.2.117. PMID 12683469. ^ Connor J, Norton R, Ameratunga S, Robinson E, Civil I, Dunn R, Bailey J, Jackson R (May 2002). "Driver sleepiness and risk of serious injury to car occupants: population based case control study". BMJ. 324 (7346): 1125. doi:10.1136/bmj.324.7346.1125. PMC 107904. PMID 12003884. ^ Lim J, Dinges DF (1 May 2008). "Sleep deprivation and vigilant attention". Annals of the New York Academy of Sciences. 1129 (1): 305–22. Bibcode:2008NYASA1129..305L. doi:10.1196/annals.1417.002. PMID 18591490. ^ Wright KP, Badia P, Myers BL, Plenzler SC (March 1997). "Combination of bright light and caffeine as a countermeasure for impaired alertness and performance during extended sleep deprivation". Journal of Sleep Research. 6 (1): 26–35. doi:10.1046/j.1365-2869.1997.00022.x. PMID 9125696. ^ a b Durmer JS, Dinges DF (March 2005). "Neurocognitive consequences of sleep deprivation". Seminars in Neurology. 25 (1): 117–29. CiteSeerX 10.1.1.580.1922. doi:10.1055/s-2005-867080. PMC 3564638. PMID 15798944. ^ Drummond SP, Gillin JC, Brown GG (June 2001). "Increased cerebral response during a divided attention task following sleep deprivation". Journal of Sleep Research. 10 (2): 85–92. doi:10.1046/j.1365-2869.2001.00245.x. PMID 11422722. ^ van der Helm E, Gujar N, Walker MP (March 2010). "Sleep deprivation impairs the accurate recognition of human emotions". Sleep. 33 (3): 335–42. doi:10.1093/sleep/33.3.335. PMC 2831427. PMID 20337191. ^ Tsuno N, Besset A, Ritchie K (October 2005). "Sleep and depression". The Journal of Clinical Psychiatry. 66 (10): 1254–69. doi:10.4088/JCP.v66n1008. PMID 16259539. ^ Chee MW, Chuah LY (August 2008). "Functional neuroimaging insights into how sleep and sleep deprivation affect memory and cognition". Current Opinion in Neurology. 21 (4): 417–23. doi:10.1097/WCO.0b013e3283052cf7. PMID 18607201. ^ Revonsuo A (December 2000). "The reinterpretation of dreams: an evolutionary hypothesis of the function of dreaming". The Behavioral and Brain Sciences. 23 (6): 877–901, discussion 904–1121. doi:10.1017/s0140525x00004015. PMID 11515147. ^ Montangero J (2000). "A more general evolutionary hypothesis about dream function". Behavioral and Brain Sciences. 23 (6): 972–973. doi:10.1017/s0140525x00664026. ^ Stickgold R, Hobson JA, Fosse R, Fosse M (November 2001). "Sleep, learning, and dreams: off-line memory reprocessing". Science. 294 (5544): 1052–7. Bibcode:2001Sci...294.1052S. doi:10.1126/science.1063530. PMID 11691983. ^ Greenberg R, Katz H, Schwartz W, Pearlman C (1992). "A research-based reconsideration of the psychoanalytic theory of dreaming". Journal of the American Psychoanalytic Association. 40 (2): 531–50. doi:10.1177/000306519204000211. PMID 1593084. ^ Sadeh A, Keinan G, Daon K (September 2004). "Effects of stress on sleep: the moderating role of coping style". Health Psychology. 23 (5): 542–5. CiteSeerX 10.1.1.476.8304. doi:10.1037/0278-6133.23.5.542. PMID 15367075. ^ Nielsen T, Levin R (August 2007). "Nightmares: a new neurocognitive model". Sleep Medicine Reviews. 11 (4): 295–310. doi:10.1016/j.smrv.2007.03.004. PMID 17498981. ^ Pagel JF (2010). "Drugs, Dreams, and Nightmares". Sleep Medicine Clinics. 5 (2): 277–287. doi:10.1016/j.jsmc.2010.01.007. ^ Levin R, Nielsen T (1 April 2009). "Nightmares, Bad Dreams, and Emotion Dysregulation: A Review and New Neurocognitive Model of Dreaming". Current Directions in Psychological Science. 18 (2): 84–88. doi:10.1111/j.1467-8721.2009.01614.x.